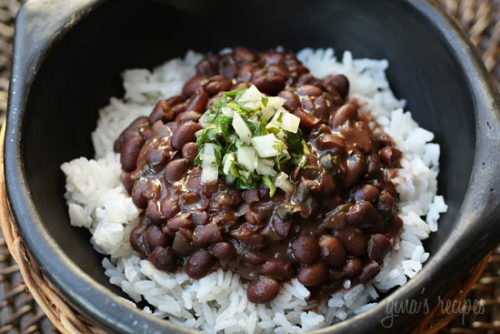 Rice and beans are my husband’s favorite meal, so this is a dish I make often! 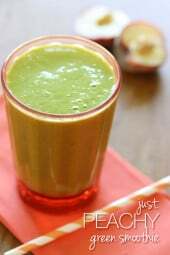 I love that it makes a lot, so it;s great for a crowd and leftovers freeze well. 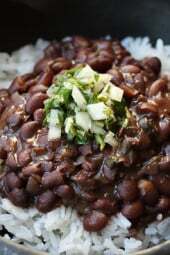 This is a delicious black bean recipe from my Brazilian/Argentinian cousin, Katia. She makes the best black beans, the recipe handed down to her from her father, another great cook. Black beans are loaded with fiber. Try this over white rice with chimichurri sauce, for wonderful fusion of flavors from Argentina and Brazil. 1 smoked ham hock (or smoked pork chop) 6 oz. Soak bean over night. Discard water. In a pressure cooker combine soaked beans, ham hock and bay leaves and add enough water to cover beans at least 3 inches, about 6 cups. Bring to a boil, then cover and lock the lid. Cook 45 minutes in a pressure cooker on medium-low heat. After 45 minutes shut heat off and wait for the pressure to come out of the pot before removing the lid. Meanwhile, in a large saute pan add oil; saute onion, garlic, and parsley on a medium heat. Add salt and pepper to taste and cook until onions are translucent, about 10-15 minutes. Add onion mixture to the beans and cook uncovered 20-30 more minutes, or until beans have a thick consistency. Husband loved these. I thought they were bland. I a beginner cook so didn’t know how to fix them for my taste. Delicious with the chimichurri sauce! Thank you! 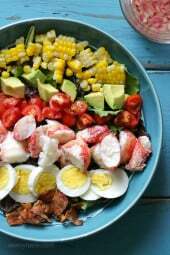 I just got an Instant Pot and would like to make this recipe. You said to bring to a boil first. Is this done in the Instant Pot. The recipe looks like it is for a regular pressure cooker. I haven’t tried the pressure cooking feature on my pot yet. I just used the saute’ and slow cooker feature. Thanks. Yes it is for a regular pressure cooker. Are soaking the beans really necessary? For the Instapot method, I just bought mine so wooo hoo this will be my first time trying it out. I wanted to know after you add the onion and cook for another 30 minutes is that on the Saute setting or how does that work? Just want to make sure I don’t mess it up. I cook my black beans with all the ingredients you mentioned togethet (plus cumin, black pepper, and one table spoon of tomato sauce) on high pressure for 35 minutes. As a good Brazilian, I eat it over rice (no Argentinian sauce!) with manioc flour (farinha). Sounds wonderful, my Mom often makes that. Any chance you can give directions for using an Instan Pot? Thanks! Thank you so much for this recipe Gina! Being Cuban I grew up eating black beans. Unfortunately I've never made them myself until today. Since we cook with a lot of seasoning, I did find them a bit bland, so I added 3 packets of Sazon Goya, and a bit more salt. I must say the ham hock gave it a great flavor and thanks for the idea of adding chimichurri, delish! I am going to remake this to answer all you questions. what is the correct serving size? 1/2 cup or cup? Lisa, try my Cuban black bean recipe, it's vegetarian. 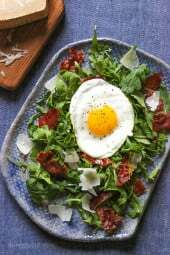 I love your bean recipes and have been trying to eat more beans as I don't eat red meat… So I am wondering if you could suggest a replacement for ham that would still add flavour? I find them in my supermarket. If you can't find them, a ham bone would work. Where does one acquire a pre-smoked ham hock? I'm not even sure I know what those look like.. In the supermarket, if you can't find it smoked ham would work. Is there a way to measure the beans for this recipe if I buy them in bulk? I'm not clear on what a "package" would constitute. Thanks! we eat this everyday 🙂 but we dont add chimichurri to it tho! For the crockpot: I would soak overnight, discard water, then add 4 cups of water, bay leaves and ham hock. Cover and cook on high 6 hours or until the beans are tender. Then add sauteed onions and parsley, season with salt and pepper, cover and cook on high 1 to 1 1/2 more hours. Thanks 🙂 I love Black beans & will try this in my crock pot! Keep up the great work with the awesome recipes!! No, but quite honestly 1/2 cup of beans over 1 cup of white rice is a healthy serving and is 6.5 points. Does the point count on this recipe include the rice? I love beans and I can't wait to try this! I made your sauted brussel sprouts last night and they were delicious! Sure, If you use a stock pot, you just have to cook the beans longer. Maybe 1 1/2 hours on low, covered. Then after they are cooked and soft, you add the parsley mixture and continue cooking uncovered on low about 20-30 minutes, until the beans have a nice thick consistancy. I would love to try this recipe but don't own a pressure cooker — do you have any advice on altering the recipe to use a stock pot or crock pot? Thanks! Great idea to add the chimichurri! I like how you fused the flavors from these two neighboring countries. You Rock! thanks! Can’t wait to try it!